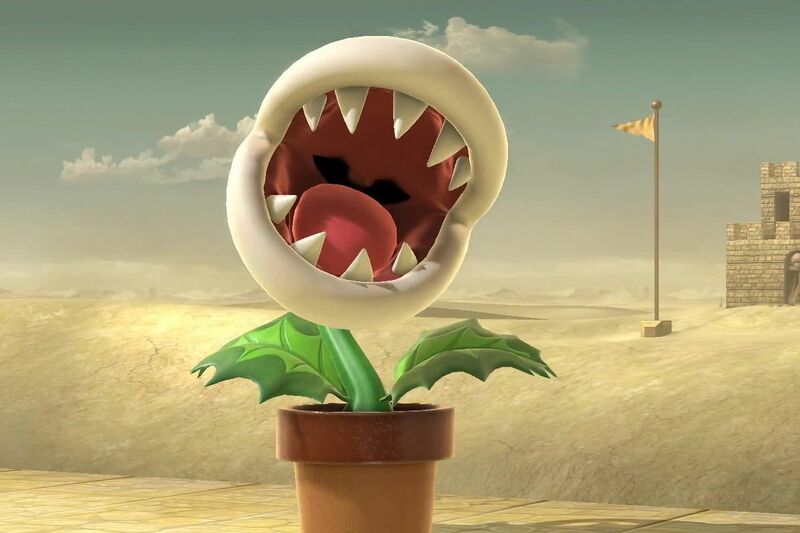 Nintendo has released Super Smash Bros Ultimate patch 2.0.0 for the Nintendo Switch which adds Piranha Plant to the game alongside various changes and fighter adjustments. While the new update allows select players to pick Piranha Plant as fighter, various users are reporting that using the new fighter in All-Star Mode could corrupt your save game. In addition, various other players are reporting that Duck Hunt and/or Mii Swordfighter is also corrupting save data in Century Smash. It is suggested to avoid using those characters in All-Star Mode and Century Smash until Nintendo releases a patch to fix these issues. Aside from the issues mentioned above, the new patch also allows players to play Spirit Board with up to 4 players and new spirits have been added to the shop, including Partner Pikachu, Partner Eevee, Dice Block, River Survival and Golden Dash Mushroom. ◦You can now play Spirit Board with up to four players. ◦Pressing both jump buttons at the same time will now cause you to short hop. ◦Fixed the issue where the KO score included your teammates’ KOs when Team Attack was On. ◦Specific fighter adjustments are detailed here. Super Smash Bros Ultimate is available globally now for the Nintendo Switch.